When we spotted the latest 'do on cool girls and celebs, we sensed a trend: BANGS! 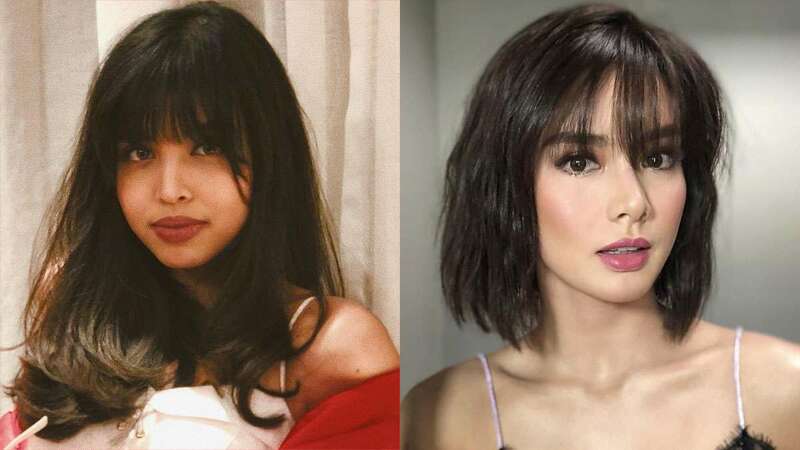 Maine Mendoza, Kim Jones, and Kathryn Bernardo are just some of the ladies recently sporting a freshly cut fringe. The long strands framing the face soften strong cheekbones and a sharp chin. The piece-y strands falling softly on your forehead add a romantic touch to your look. Plus, this style is wash-and-wear—totally low-maintenance. Probably the ~biggest~ fringe trend of 2018, the middle-parted chunky bangs give a cool-girl, IDGAF vibe.